At The Barbell Balance, your privacy is important. Any personal information you provide, including your name, email address, mailing addresses, phone numbers, and credit card or other payment information will be securely received and stored in a secure database. The Barbell Balance will not sell, share or distribute your personal information with any third party without your prior written consent. I may from time to time, use your personal information to communicate with you about new products and services at The Barbell Balance. If, at any time, you wish not to receive communications from us, please notify me via email at terrellbaldock@thebarbellbalance.com. By accessing my website, certain information, such as internet protocol (IP) addresses, navigation through the website, the software used, time spent, browser used, along with other similar information, will be accessible to us. This information will not specifically identify you, and is only used internally for the purpose of website traffic analysis. For current clients: The Barbell Balance will ask permission before taking photos or videos. The Barbell Balance will use these photos and videos for marketing purposes only. They will appear on social media, websites, and paper products. If you do not wish to have your photo taken and used in marketing campaigns, please notify The Barbell Balance directly via email. If you are registered in a Personal Training , and you miss a session, I have a generous ‘make-up’ policy that allows you to reschedule the session with 24 hours notice. If you do not give 24 hours notice, you may lose your session if there is no availability to reschedule. Missed sessions cannot be carried over into the next session. 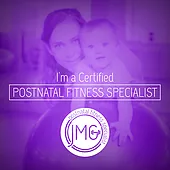 If you are unable to finish a session or class due to the birth of your beautiful babe or illness, I will credit your The Barbell Balance account for the value of the missed session. The credit has no expiry and so you can use it for any private or online/Hybrid training package. Drop-ins are $20 and must be paid before the class starts. You can pay online on The Barbell Balance website or pay me directly. I do not guarantee make-up sessions for missed classes. Pre-registration’ Classes, Workshops & Personal Training. I am so grateful for the popularity of my classes, workshops and Personal Training. When you register for any of our classes that require pre-registration (these classes typically run for 6 or 8-week sessions), I am reserving a spot for just for you! As such, there are no refunds offered. Payment in full is required before your session package begins. I accept, PayPal and all major Credit Card payments. HST is required for all packages and workshops. Payment plans are available for private training only. If you cancel your participation in a workshop less than 5 business days prior to the workshop date, there are no refunds and no credits. 24 hours notice is required canceling your personal training session, class, or group training session. If you give less than 24 hours, you are charged for the missed session. I do understand that things come up last minute and will allow up to 4 reschedules/yearly for private clients or 2 reschedules for group training clients without charge. You do have the option to reschedule based on availability. Some workshops have unique refund policies – please refer to the specific workshop page for those details. If you purchase a personal training package, there is a 5 day money back guarantee on unused sessions. After 5 days, you will not be refunded for sessions used. You have 3 months to use all of your sessions. If they go unused, a doctors note will be required to reinstate. There are no refunds for classes. You are required to schedule your sessions 1 month in advance if you are training privately and all group training sessions are pre-scheduled by The Barbell Balance. If you are going on vacation during your training program, two weeks notice is required. If you give notice less than two weeks prior, you will be charged 25% for each session missed. 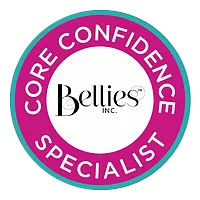 I am pleased to offer our exceptional services to you and we believe that our time together is important. In the event you need to cancel your appointment, you can easily do so online or give us a call or email and we’ll gladly help you out with that. However, if you cancel less than 24 hours in advance, or do not show up for your appointment, unless there is an emergency, you will be asked to pay for your missed appointment in full, prior to booking a future appointment. Thank you for your consideration. In the event that you need to miss a class, please give 24 hours notice and you will receive a credit to your next program purchase. Make-up classes are based on availability and not guaranteed. If you access and use this website (the “Site”), you accept and agree to be bound by and comply with these terms (the “Terms”). If you do not accept the Terms, do not use the Site. All products and services of The Barbell Balance and its subsidiaries and affiliates are subject to the terms and conditions of the applicable agreements governing their use.The Terms are to be read by you together with any terms, conditions or disclaimers provided in the pages of the Site. In the event of any conflict, the terms provided in the pages of the Site will govern.The information, material and content provided in the pages of the Site (the “Information”) may be changed at any time without notice. Changes may be made to the Terms at any time without notice by updating this posting. You agree to review the Terms regularly and your continued access or use of the Site will mean that you agree to any changes. Any unprotected E-Mail communication over the Internet is, as with communication via any other medium (e.g. cellular phones, post office mail), not confidential, subject to possible interception or loss, and is also subject to possible alteration.No endorsement or approval of any third parties or their advice, opinions, information, products or services is expressed or implied by any Information. Links from or to web sites outside the Site are meant for convenience only. The Barbell Balance does not review, endorse, approve or control, and is not responsible for any sites linked from or to the Site, the content of those sites, the third parties named therein, or their products and services. Linking to any other site is at your sole risk and The Barbell Balance will not be responsible or liable for any damages in connection with linking. Links to downloadable software sites are for convenience only and The Barbell Balance is not responsible or liable for any difficulties or consequences associated with downloading the software. Use of any downloaded software is governed by the terms of the license agreement, if any, which accompanies or is provided with the software. Payment for Products & Services. All Credit Cards will be processed in USD at the time of payment. The Barbell Balance is not responsible for any fees, charges, exchange rates or additional charges levied by individual financial institutions or Credit Card companies. The Barbell Balance is not a licensed medical care provider and represents that it has no expertise in diagnosing, examining, or treating medical conditions of any kind, or in determining the effect of any specific exercise on a medical condition. 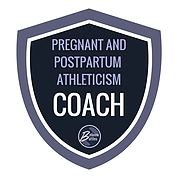 You should understand that when participating in any exercise or exercise program, there is the possibility of physical injury and/or death or miscarriage. If you engage in this exercise or exercise program, you agree that you do so at your own risk, are voluntarily participating in these activities, assume all risk of injury to yourself, and agree to release and discharge Mom’s Fitness Boutique from any and all claims or causes of action, known or unknown, arising out of The Barbell Balance negligence.